THE true sounds in progressive rock hit Derby like never before on Friday, and left everyone at the Great Hall, Kedleston Road, wondering if it was all really true, writes RICHARD COX. Slade, the ex- skinhead group, who had to change their image to get bookings, more than made up for Swegas, who had a breakdown and could not make it. 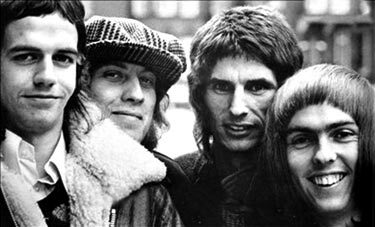 Slade whined and wailed, beat and brayed their way through some of the all-time greats like "Comin' Home," and " Born To Be Wild." Slade have never really come across on record or radio, but their stage act is incredible. Dave Hill (lead) spurred by the vocals of Maria Callas made his custom-built Gibson rear up and fight, especially in "Tudor Baker" which was good, fast and freaky. In Kier Hardie-type hat, Noddy Holder, second lead and lead vocals, ranged from pure aggression to pure beauty in more traditional style straight from the rock era. During the first spot he stood stock still, played and sang, in direct contrast to Dave, who pranced and danced as if there was another reason for his tight pants. Jim Lea, bass and fiddle, showed his amazing violin prowess on "Knights In White Satin." Drummer Don Powell is shortly to change his kit to what he hopes will be the biggest and loudest in the country. And he needs it.